Gulan’s Artistic Director Della Murad and Creative Director Richard Wilding published articles in the Sunday Telegraph’s supplement on Kurdistan, ahead of the historic referendum on the 25th September. 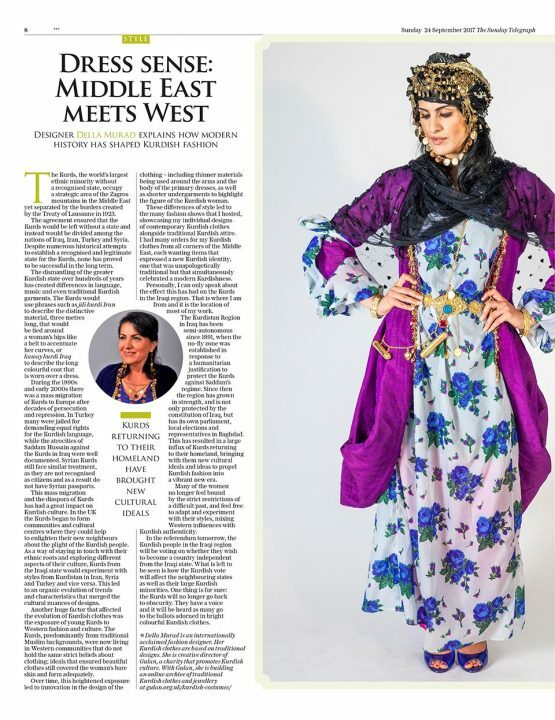 Della Murad wrote about Kurdish costume, in particular how recent history has influenced Kurdish fashion. 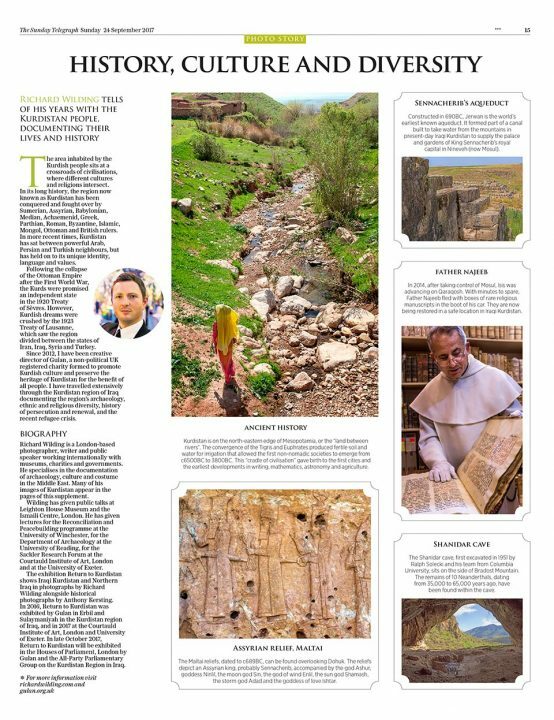 Richard Wilding wrote about the history, archaeology, ethnic and religious diversity of Iraqi Kurdistan. His photographs were also used to illustrate the other pages of the supplement.